The ring is the thing at this Dallas hotspot, where you can get the benefits of boxing without getting hit! Many great American businesses begin with nothing but an idea and the drive to attain it. When the Casad brothers opened the TITLE Boxing Club Uptown in Dallas, they wanted to create a place for people to learn how to box, and to use boxing as an exercise regimen for non-fighters. They wanted people to fight to train, not train to fight. Just a few months into operation, the gym was attracting members and finding its groove. We stepped into the ring with Brian Casad to get the lowdown on TITLE's novel concept. How did the gym start? Fitness has always been a passion of mine. A while back, I was working at an 8-5 p.m. dead-end job and doing personal training on the side. Training was always a side job for me because of the economic stability I saw vs. the 8-5 p.m, so in the back of my mind, fitness is where I wanted to be. I just had to find my calling. It was February 2011. I was 30 pounds overweight and I had driven by a TITLE Club many times before finally I decided to check it out. I took my first class and it was like a breath of fresh air! Immediately I began taking classes on a regular basis, gasping for air. My skills were anything but good. But with each class, I felt my skills and endurance improving rapidly. With built-up confidence, and gaining new found energy, I felt like I had built a new me. I fell in love with the concept; I fell in love with fitness all over again. After dropping 35 pounds in three months, I felt like it was time for a change. So I took what I learned and focused all my energy on helping others change their lives. I left my job, sold everything I owned, bought into the TITLE franchise, and began to work toward starting this unique fitness concept in Uptown Dallas. I sacrificed everything I had, living on unemployment and sleeping on my brother's couch for six months, in order to make this dream a reality. My dream came true March 14, 2012. We are now a thriving gym with more than 400 members, and I feel like we haven't even broken the ice yet. Sacrifice. Compromise. Togetherness. Family. Toughness. Never giving up. These are just a few words to describe how this dream came to life. With my entire family behind me and supporting me on the back-end and front-end we were able to create TITLE Boxing Club Uptown. The day we received the keys, my entire family and friends were here hauling more than 60 100-pound heavy bags up two flights of stairs, as well as moving in flooring, equipment, steel beams, and assembling racks system and a boxing ring piece-by-piece.I It took a couple of physically and mentally tough 14-hour days to get everything together for opening day, but we worked together to make it happen. TITLE Boxing Club Uptown is not just a gym. It's an experience. It's the workout of a lifetime, leaving you feeling more than just tired, but also motivated and energized. It's a place where trend meets guts, a place where race, gender, class, age, and your fitness level are left at the door. It's about working your body to the core and doing better than you did before. Where else can you walk in and see 60 heavy bags hanging in one room? Nowhere. You can burn up to 1000 calories within one Power Hour class, but the Uptown TITLE Boxing Club is more than hour-structured classes on the heavy bags. This club has a trendy feel, with five flat-screen televisions, state-of-the-art treadmills and arc trainers, Cybex weight equipment, a full-size boxing ring, a six-speaker surround-sound system, and much more. Members keep coming back and referring their friends because of the inspiring trainers that I have. Everyone motivates one another to push harder and be the best they can. With a passion for fitness with inspiration through the boxing and kickboxing classes, Brian found a way to channel his workouts from weights to the bag. Using his acquired skills through sports, weight-training, Cooper Institute, and many years dedicated to fitness, Brian will take you through an invigorating workout that will push you to the limit and leave you in a puddle of sweat. As Brian says, "I inspire people to inspire others. Training isn't just about taking people through a routine, it's about influencing a positive and active lifestyle change." 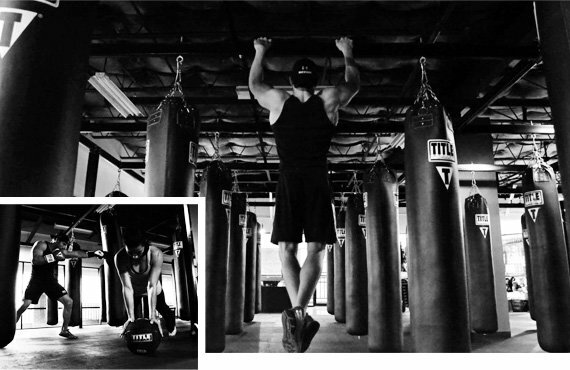 Come check out one of Brian's intense plyometric-infused boxing or kickboxing classes—he will leave you wanting more. Khalid describes himself as an "Ex-football player and coach turned fitness fanatic, with a long history and deep love of martial arts and sports. It seems that TITLE Boxing Club is a perfect fit for my lifestyle." Khalid teaches boxing, kickboxing, and self-defense as well as offering one-on-one personal training in all categories. If you have not experienced his high-intensity, muscle-beating, heart-pumping, and fun class, you are missing out. Dayon was raised in Kansas City and grew up with two older brothers. He had no other choice but to learn how to box! Boxing is his passion, his livelihood. Dayon, a Golden Gloves champ, has enthusiasm for the sport that shows in every aspect of his life. 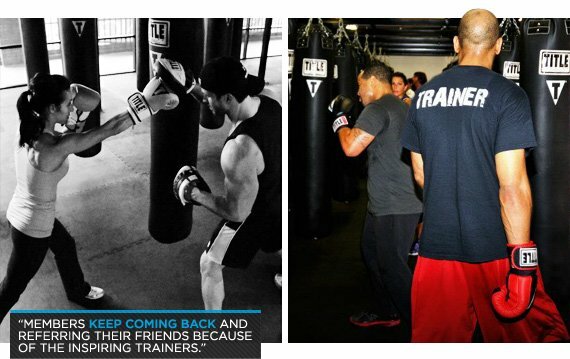 His love for boxing is seen through our members in each and every class as well as his 1-on-1 training. As a certified boxing coach and instructor, Manny brings a world of knowledge and discipline to the ring. Having what it takes to win, he is no stranger to the word TITLE. Pushing everyone to their limits yet leaving no one behind is the Corral motto! Coming straight out of the dirty south, this Houston-born trainer eats, sleeps, and lives boxing. Having previously worked in TITLE Boxing Clubs in Overland Park, Kansas, he brings a plate of experience with a side of swag. With a background in exercise science and strength and conditioning and an upbringing in sports, Carla combines her knowledge and know-how with her own training style. Her workouts are non-stop, balance-challenging, muscle-specific, high-intensity and will leave you breathless! We provide boxing and kickboxing POWER HOUR classes that will work you to the core. We also provide personal training sessions with the best trainers, all specialized in different areas. We inspire our members by having 90-day challenges to help keep them on-track and working toward their ultimate goals. The hardest part is getting people to commit and walk up the stairs if they don't know what TITLE Boxing Club is about. The word "boxing," and seeing 60 heavy bags when they first walk in, can be intimidating. A lot of think this is is a place to spar and learn how to get in the ring and fight, but that's before they learn what we're all about. Boxing and kickboxing has been around for ages. 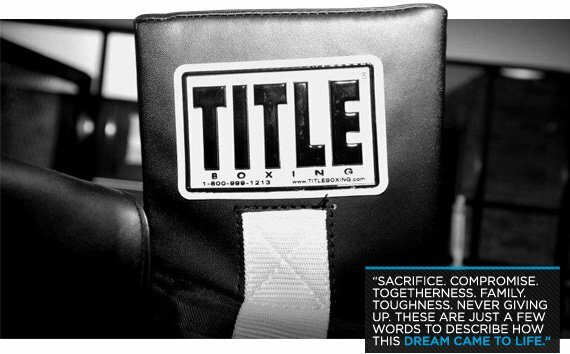 TITLE Boxing Club has created a concept to allow everyone to share the love and passion and experience it without the hits or kicks coming back at them. What makes you stand out over other gyms? We are one of a kind. We offer our members not just a workout, but ways to build their confidence and build knowledge with weekly fitness tips, nutrition tips, and strength training programs. 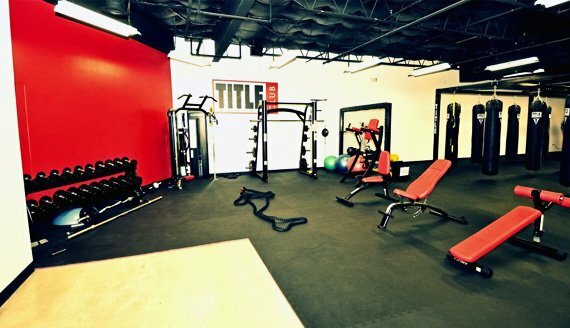 We offer unlimited classes in a room of 60 heavy bags, with no workout like the last. What's been the secret of your success, and what will you do to ensure it going forward? Our first few months have been successful. We sponsored local races, held apartment events, used word-of-mouth, handed out fliers, etc. We are building a fitness brand, not just a gym. As long as our motto, Defining Original, stands true, we'll be here changing lives. Your first shot is always free! So glove-up and get in here for the challenge of a lifetime!